Note: BLACK HATE ENGINE is a side-project of Ian SelfmadeSatan who's also behind acts such as PROJEKT666:SATANOISE, TrashnoiseR and the established Devil Noise Records. This work entitled "Machinoise" is based on 4 basic layers of Noise and the mix results of them. 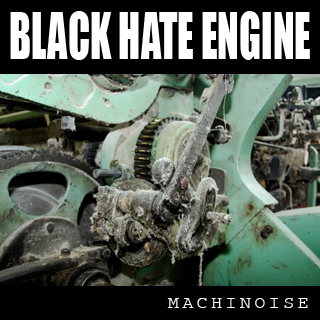 BLACK HATE ENGINE is actually more into Techno/Industrial/Grind/Gore-Noise and this data-bending material is something like a bonus work from the project. For further information, please contact www.facebook.com/selfmadesatan.